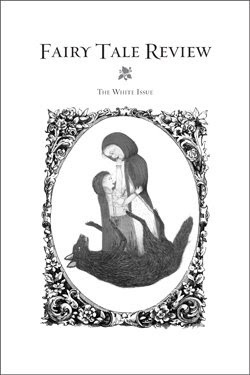 Fairy Tale Review is an annual literary journal devoted to contemporary fairy tales. The journal hopes to provide an elegant and innovative venue for both established and emerging authors of poetry and prose. Fairy Tale Review is not devoted to any particular school of writing, but rather to fairy tales as an inspiring art form. A summary of the contributing authors for this issue and some previews are here. There is also a CD of the white issue being made with lots of music contributions as part of the presentation. For more insider information check out the Fairy Tale Review blog.